When is Excel no longer enough? What's the right approach in assessing new technology? 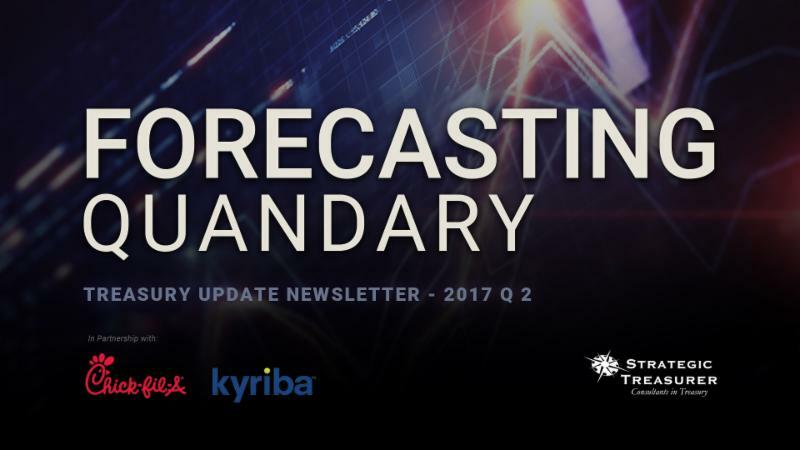 Click the image above to watch a message from our Managing Partner, Craig Jeffery, about the headline article in this edition of the new digital Treasury Update Newsletter. We hope you enjoy! 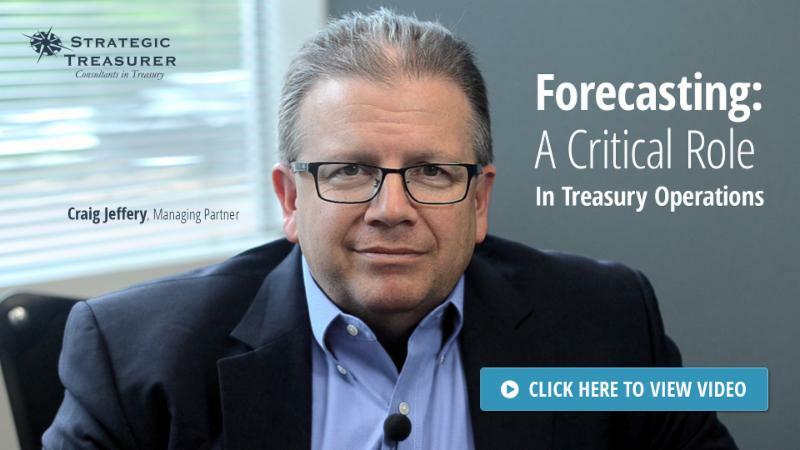 Treasury Technology Ten Years from Now? With changing payment types, new regulations, elevated fraud threats, and increased globalization, organizations and banks have moved into battling hyper-complexity. Learn what others are doing, thinking, and where they plan to focus their attention and spend. 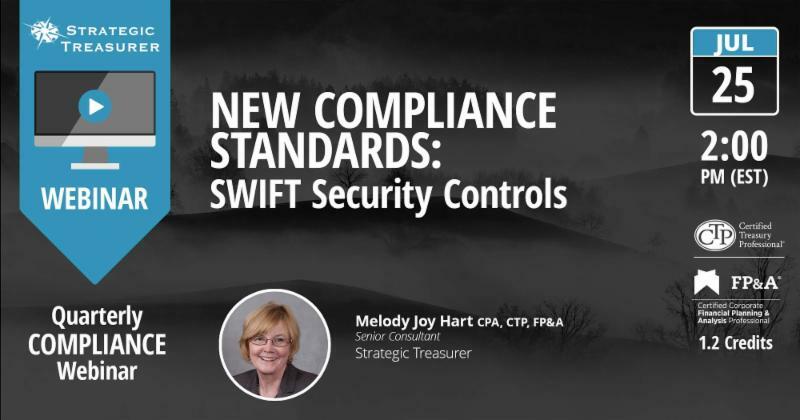 Join us as we unpack SWIFT's core security standards and assurance framework. Learn about the new mandatory annual compliance requirements and self-attestation process. 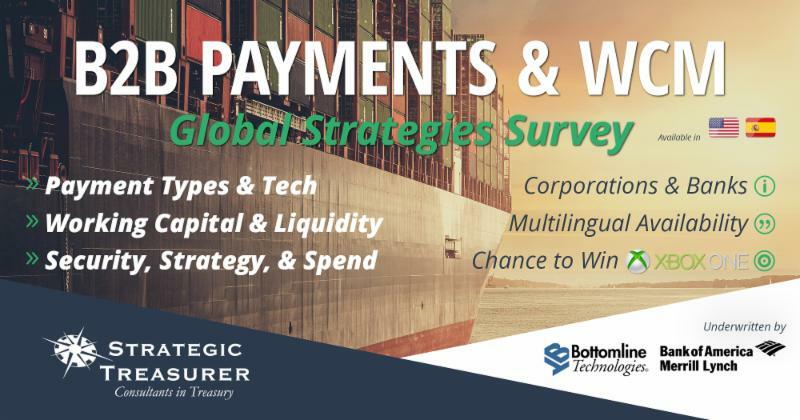 Attendees will receive 1.2 CTP and FP&A re-certification credits.